Most of us think of Ferrari’s as Supercars. The title of this book 'Ferrari Hypercars' made me wonder “what’s the difference?” Renowned author and photographer Winston Goodfellow answers this question in his book but leaves the reader with a new question at the end. So how do you write a book which adds something new for the reader? 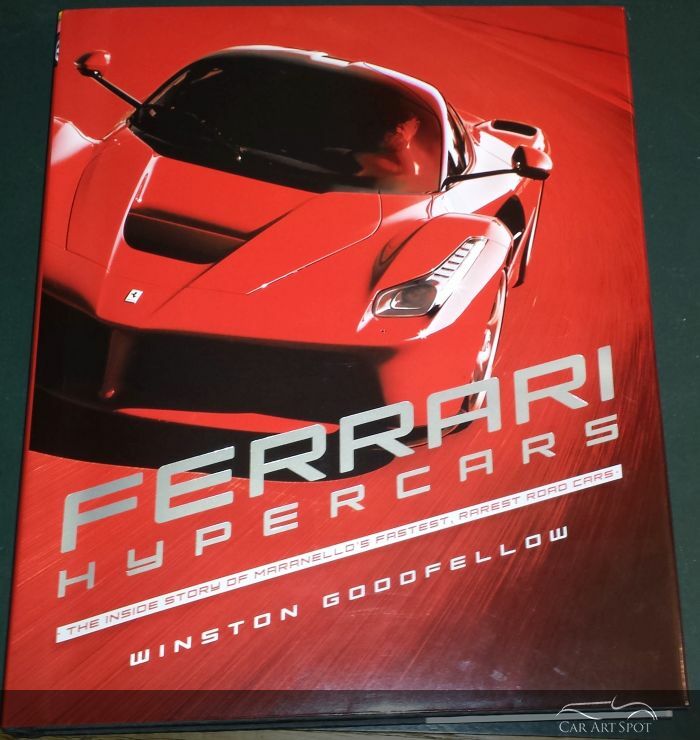 We let’s be honest here, on Amazon alone there are more than 10.000 books relating to Ferrari. Winston has taken a different approach by focusing solely on the “fastest of the fast”. 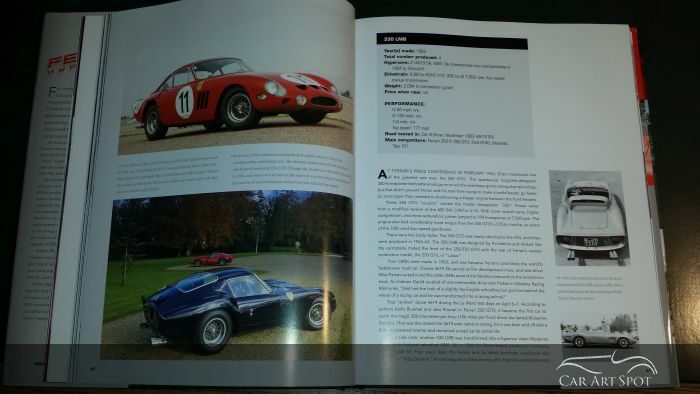 He takes the reader back to the early days showing photo’s inside Scuderia’s machine shop and sharing stories on the races while shedding light on how he became successful in those days. 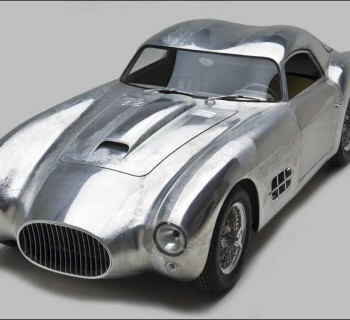 Besides being a great designer, Enzo Ferrari was a smart business man and he understood soon enough that the US would be an important market for him. Italian-born Luigi Chinetti became his importer for the US and was responsible for 25-30% of Maranello’s annual production sales. This is also the reason why he named his most powerful road car the 340 America. In order to understand the uniqueness of the designs and the technological innovations, you need to understand what was going on in those days. The best way was by referring to leading car magazines such as Road & Track, and by quoting journalists who drove those cars for the first time. 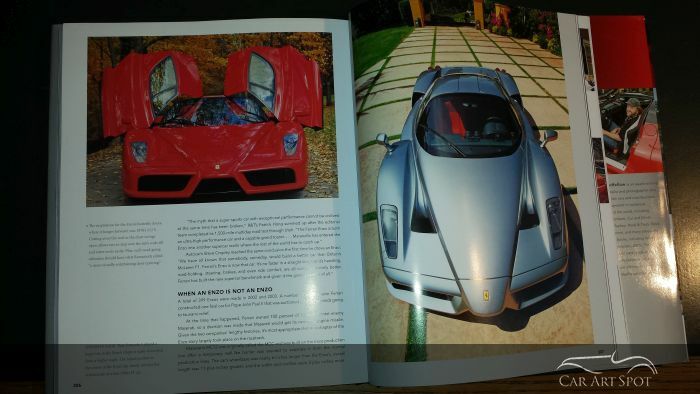 The book is filled with nice anecdotes like how Mr. Ferrari and Mr. Pininfarina started their collaboration. 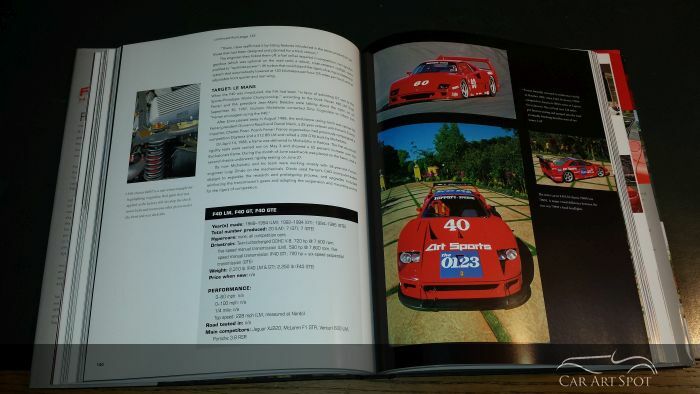 Of course the F40 is described in detail. 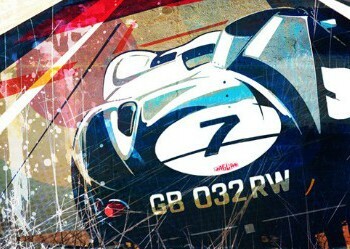 A design which commemorated 40 years of car production and racing. 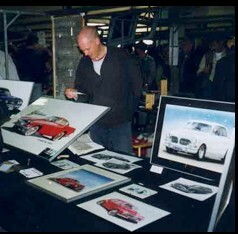 From the production process to the race tracks, each photo shares the story of this wonderful car. With the digital age entering the Ferrari arena, the book ends with an interesting paradox. What is the use of a hypercar when most supercar owners are unable to exploit even a fraction of it’s potential. Hypercars have become four-wheeled iPhones and iPads. The challenge will be to maintain character and to provide that unparalleled experience. An unforgettable form of entertainment.